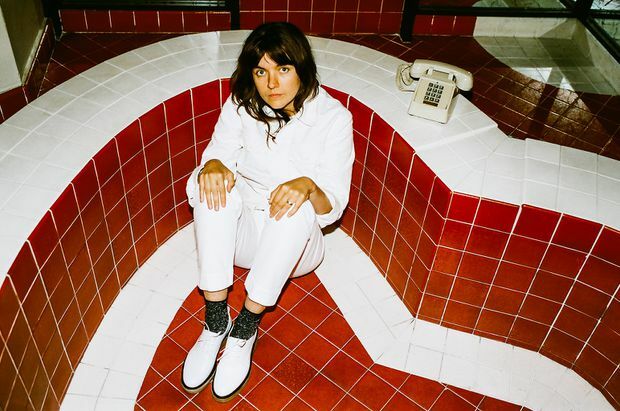 Barnett’s career has seen her go from a poet of the outskirts to a kind of new-wave slack-rock hero, backed by Grammy and Brit Award nominations and chumming about with spiritual brethren such as Kurt Vile and Kim Deal. Most of Barnett’s songs have this gift, although the end result tends to be breezily cathartic, rather than panic-inducing. 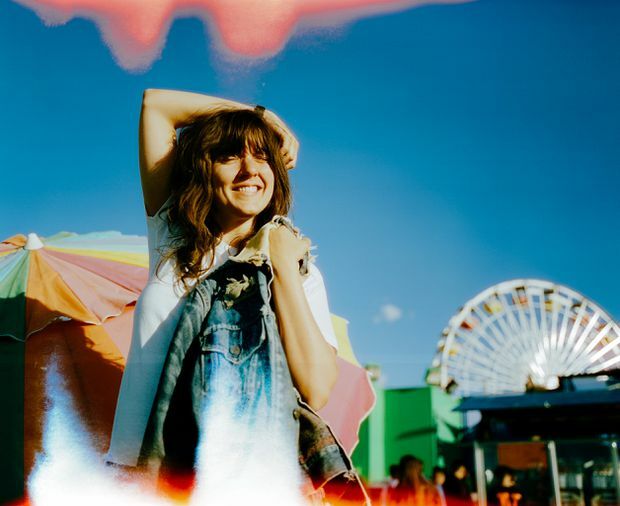 It’s an apt metaphor for her career, which has seen her go from a poet of the outskirts to a kind of new-wave slack-rock hero, backed by Grammy and Brit Award nominations and chumming about with spiritual brethren such as Kurt Vile and Kim Deal. Barnett owes some of this rise to her low-key guitar wizardry, a throwback style that frequently cuts across her full-length debut, 2015’s Sometimes I Sit and Think, and Sometimes I Just Sit, with feedbacky squeals and grunge-child chugging. Sometimes she expresses herself with twisty word play that tries to disguise an emotional bluntness, including in the ripping Pedestrian at Best: “My internal monologue is saturated analog / It’s scratched and drifting, I’ve become attached to the idea / It’s all a shifting dream, bittersweet philosophy / I’ve got no idea how I even got here.” However it arrives, any existential relief that’s offered is fleeting, but comes in the form of knowing communion – we’re all in this stuff together. Barnett has a throwback style that frequently cuts across her full-length debut, 2015’s Sometimes I Sit and Think, and Sometimes I Just Sit, with feedbacky squeals and grunge-child chugging. Given the consistency of the theme, it’s not so surprising to hear Barnett explain that her process shares a mindset with most of her songs. Although she’s now firmly behind them on tour, putting together the 10 songs that make up Tell Me How You Really Feel, her sophomore album, released on May 18, was, among other things, a chance for her to turn them over and over, in both head and hands, a spinning that maybe hasn’t so much stopped as been necessarily abandoned, for the time being. There are more than hints of these emotions on Tell Me How You Really Feel, an album that leans right into the duality of its title, which you could say both in an earnestly searching way and as cutting sarcasm. The album’s titular line shows up on the song Crippling Self-Doubt And a General Lack of Self-Confidence, and Barnett’s response is “I don’t know / I don’t know anything.” The fact the music is downright bouncy, at least as far as Barnett is usually concerned, suggests that there’s not really much to be done about not knowing either: embrace the nothing and try to move on. This kind of uneasy ambivalence pops up again and again. Opener Hopefulessness, which gradually builds from a simple suggestion to “Take your broken heart / And turn it into art” into a distorted wail, wavering between purpose and dissolution the entire way. It might be most stark on first single Nameless, Faceless, an equally breezy and discomfiting survey of misogynist-leaning online criticisms that meanders through a kind of exasperated sarcasm – “I wish someone could hug you” – and real threat, expressed through quoting Margaret Atwood’s note about the relative fears of men and women (being laughed at versus being killed, if you haven’t seen it yet). Barnett’s gift for effortless complexity makes the song less political sloganeering than just another example of anxieties rearing their head out of the mundane. That she can still tap into that quality, despite the fact her life is less about days gardening and more about headlining world tours, is some sign of how deeply baked into Barnett’s personality this stuff is — not that it really surprises her.